It’s been a couple of weeks since the last post – ok, maybe longer. Still, this is the 100th post on waterinfood.com, and to celebrate that fact let me just say that most people have an irrational affinity for round numbers. Since last post, the cured meats have continued to cure, along with our farmhouse cheddar. 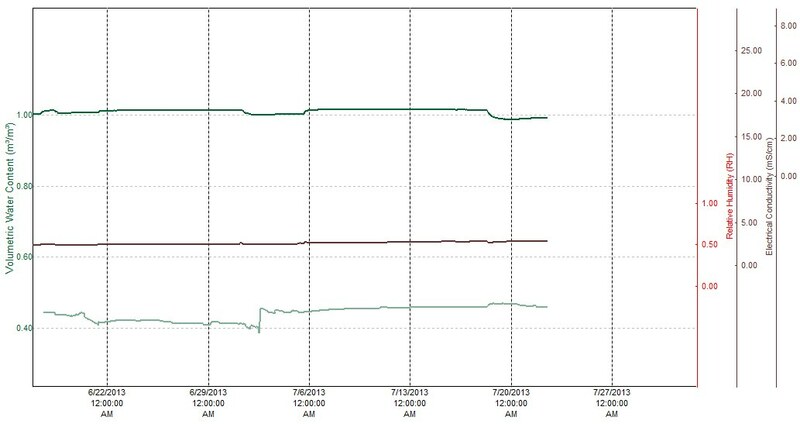 Things look pretty good for both, so let’s check in on the moisture and salt numbers as measured by our spiky probes. The cheese didn’t appear to be losing any water for quite a while, but slowly began to dry out about a month into its aging process. There is a really strange data spike in the middle. This is where I took the probe out to address a mold issue on the chesse’s surface. After I re-installed the probe, it spiked to a much lower reading, gradually increased, and then started to decline on a path similar to where it had been before removing the probe. Strange, but the upshot is that the cheese started at 1.01 meter cubed/meter cubed, and now reads .86. This suggests a simple calibration curve that is specific to the salami that can tell us when it’s done. 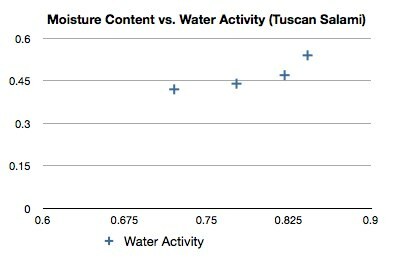 If I were just looking at the data, I would have said the salami was “done” at a water activity of around .780, which corresponds to a water content reading from the probe of 0.44 meters cubed/meters cubed. So that’s just for the Tuscan Salami, but at least if I make it again, I won’t even need water activity readings – just water content probe readings will suffice. 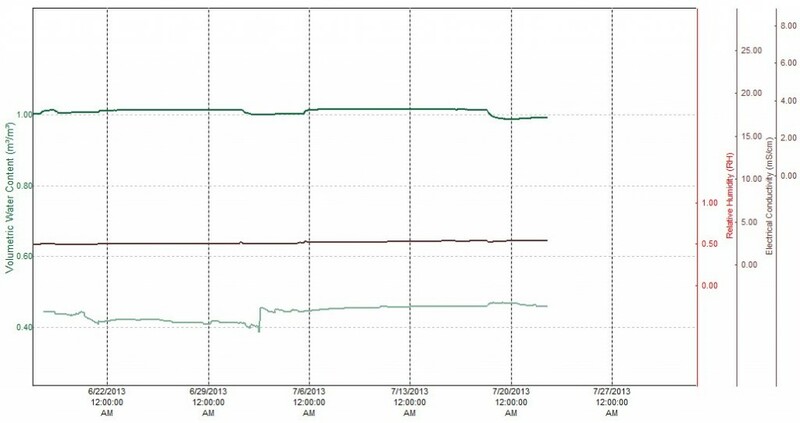 The green lines are water content, and the brown one is electrical conductivity. There really hasn’t been a shift yet. I don’t think that worries me, as it still has over 10 months to get things going.